Are you ready for spring? The changing weather and rain showers that bring both cool breezes and awakening blossoms? The new Nicole in Baked Pink will be absolute perfection to not only keep you warm and cozy, but to also add a refreshing pastel color to your days! The Nicole is not a traditional ‘hoodie’ since it is a wrap/sweater style, it is designed as a versatile, luxe, super soft hooded wrap. The colors of the Nicole are always intended to make this work as a neutral wardrobe staple, and this medium weight Pink version is no different. 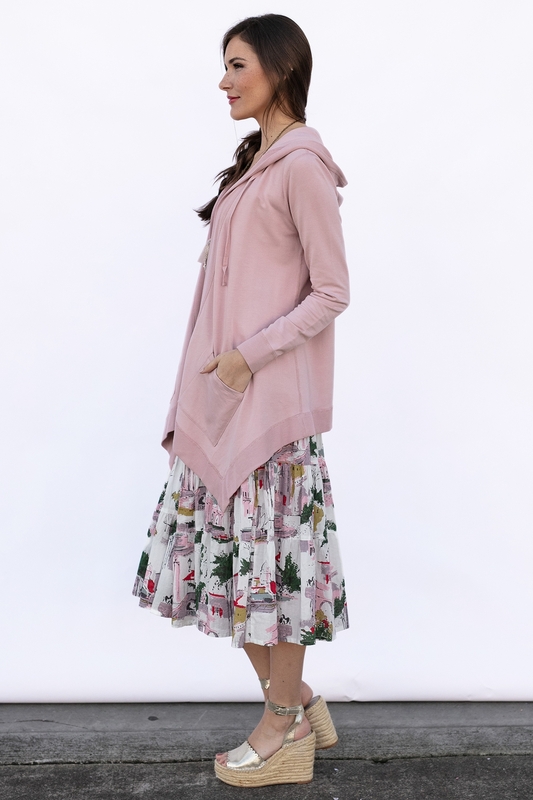 With a light interior brushing and the same much-loved super soft and gently stretchy fabric, this classic look with the Nicole features an open front with no closures, a waterfall hem, roomy patch pockets, contrasting rib trim, and a generous hood. Everyone who owns a Nicole knows; once you put it on, you aren’t going to want to take it off! 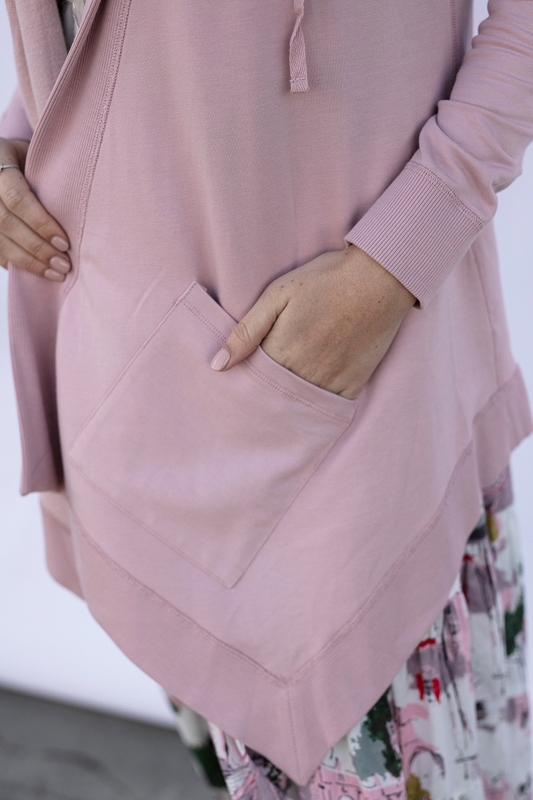 The Nicole is one of the most comfortable and versatile pieces ever made by Evy’s Tree, we know you’ll find ways to wear this Nicole in Baked Pink morning, day, and night! The Nicole is true to size and meant to be layered over lighter weight pieces. If you are between sizes, have curvier arms and prefer a looser fit, sizing up might be your best option. Otherwise you could stay in your usual size.